Description: Situated on a corner in a quiet Santa Clarita neighborhood, this amateur yard haunt features outdoor decorations and a walk-through maze inside the garage. There is some plastic tarp, but for the most part the construction effectively creates the illusion that you are inside a haunted house, and though short, the 600-foot labyrinth is impressively dense with scares. 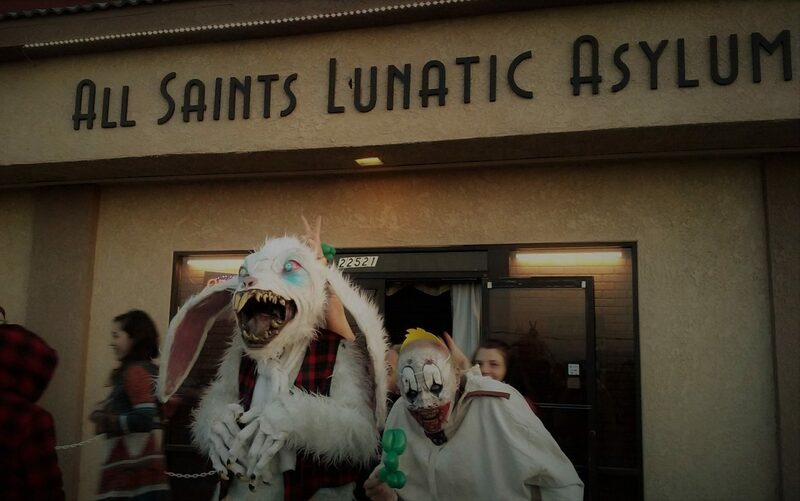 2013 will feature an expanded experience, featuring eight haunted rooms instead of six. Dates are October 25, 26 & 31. Hours are 7-11pm on Friday and Saturday, 8pm to midnight on Halloween night. 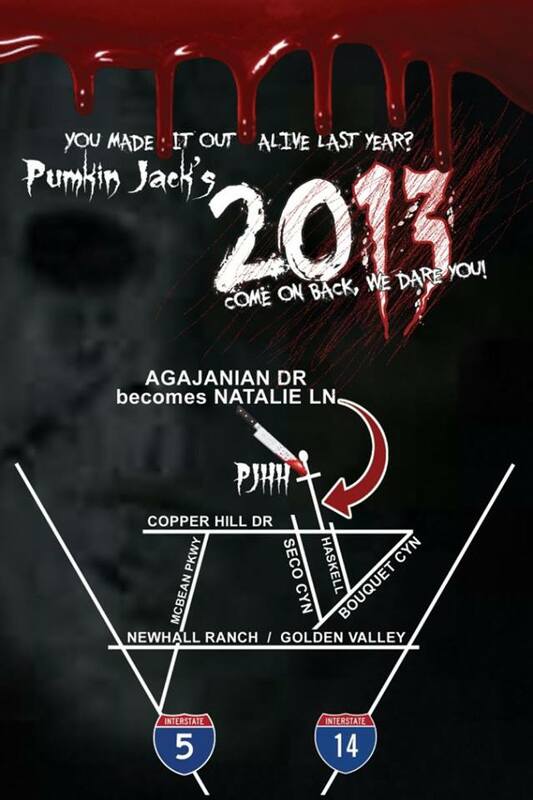 Note: Hollywood Gothique's GPS insists that the address for Pumkin Jack's Haunted House is located in Santa Clarita, not Saugus.